InishowenNews.com is published by Linda McGrory and Brendan Deehan. We would like to thank our advertisers and contributors in Inishowen who enable us to maintain this free online news service for the local community at home and those abroad. Linda is the former editor of the Inishowen edition of the ‘Derry Journal’, where she worked for more than six years. She has also worked as a reporter with the ‘Irish Examiner’ and contributes to publications including the ‘Irish Times’ and ‘Irish Independent’. A graduate of Journalism from the University of Ireland at Galway, she is a recipient of the Connacht Tribune Gold Medal for Journalism. Originally from Buncrana, she currently lives in Greencastle. 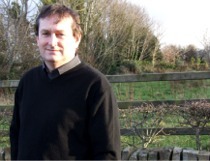 Brendan is the founder of Netserve Internet Solutions based in Moville, with clients including estate agents, dentists, solicitors and marketing companies. A former senior manager in the corporate banking sector, he is a business graduate of the University of Mid Glamorgan, Wales and holds an MSc in computing and information systems from the University of Ulster, Magee Campus.